“Hey, thought this might be of interest…” A one line email with a link from my supervisor this spring. 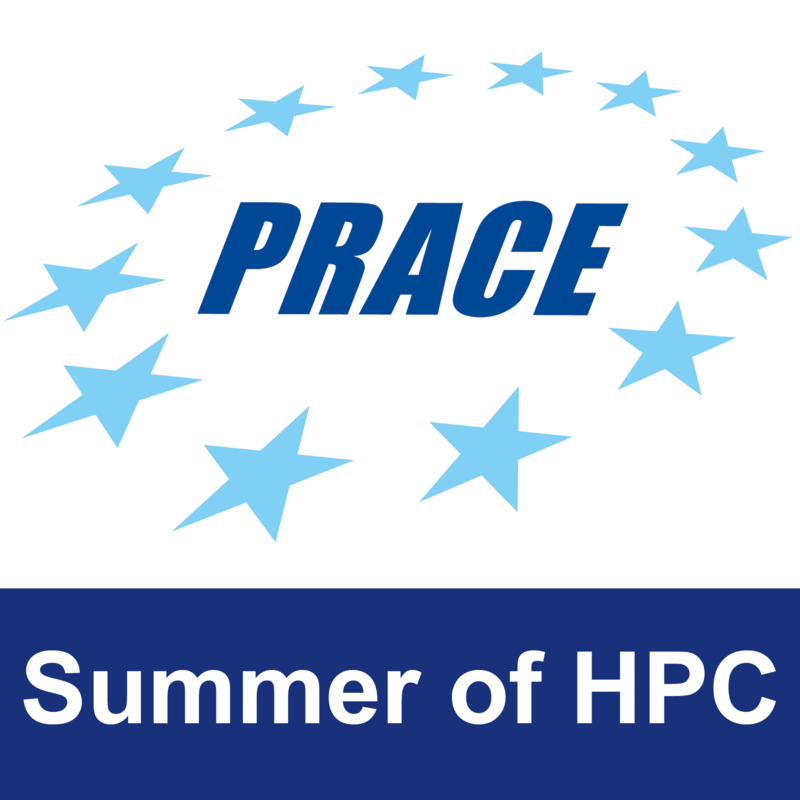 The website was of course, summerofhpc.prace-ri.eu, and I did in fact, find it of interest. The opportunity to work in a European research institute, learning more about how we can use powerful computers to model the world around us? I could not wait for the application period to start! Therefore, when in April I was invited by PRACE to work on graphene modeling at the Jülich Supercomputing Center (JSC) in Germany over the summer, I was extremely excited! As a University of Manchester student, I already had the chance to hear about graphene from the very best working in the field of nanomaterials – including Nobel laureate Sir Andre Geim himself. Now I would have the chance to explore how its electronic properties are modeled. On the other hand, I suddenly grew nervous. What if all the other participants were computer geniuses, talking jibberish Linux jargon, while I only have a bit of experience with C++ programming? 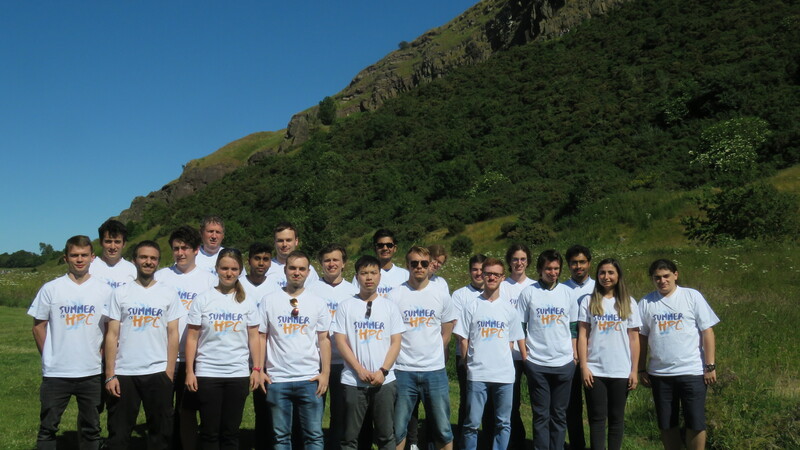 The Summer of HPC 2018 students. The first day of training seemed to go well for everyone. We learned about Edinburgh’s ARCHER supercomputer, a group of 4920 computers which can co-operate to solve large problems. Although I’d never even logged on to a computer using remote access, with the training team’s clear instructions and hands-on exercises, I was soon running my first program on ARCHER. I learned a lot, and after a long day involving lots of new terminology (did you know a program can be “embarrassingly parallel”?) and screen-time, I even had time for a jog around Arthur’s seat, the prominent and beautiful hill just next to our accommodation. Our second training day was cut short, as we left for a bus tour around the town. Despite the traffic, we had the chance to see Edinburgh castle, and maybe even a glimpse of some royal visitors in the distance (or at least a very large hat). We finished off the day at Illegal Jack’s Mexican restaurant. I have to say, vegetarian haggis actually makes for a great burrito topping! We still have a couple of days left in Edinburgh, and then each of us will fly off to get started on our research projects. It’s great to know that we will be keeping in touch with each other though, both to hear about everyone’s interesting projects, and of course to maintain and strengthen the friendships already forming. I for one am very much looking forward to this Summer of HPC! I'm a Finnish student who can't resist the chance to "go abroad" every chance I get. I've just finished my BSc in Mathematics and Physics at the University of Manchester in the UK, and hope to continue my studies next year in Münich, Germany. A part of why I love the sciences is how they open up a whole international community for you; I have made life-long friends at international summer camps, and no matter where I travel, I feel instinctively at home when I walk into a university campus.